All our teachers are native speakers and highly qualified experts in teaching Italian to foreigners. At present, the school employs 7 teachers, all with a regular work contract. Most have been teaching for several years, some have joined our school more recently. In any case, what distinguishes most all of them is surely their passion and enthusiasm towards teaching, which is reflected in the learning atmosphere and in the results students are able to reach. Professional growth is constantly encouraged by attending teacher training seminars and by means of a continuous collaboration between the teachers and the Director of Studies. This way all of our teachers can feel responsible towards the school and care a lot about their students. The three founders of the school, Daniela, Eva and Angelo, are also part of the staff. Antonella, Susanna, Eleonora and Lorenza are instructors. Has studied Foreign Languages and Literatures at the University of Pisa and has spent various periods of training abroad. 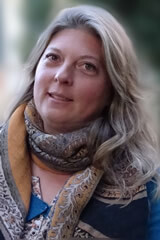 She followed training courses for teachers, both in Italy and abroad, earning various certifications, and has taught in various contexts, both public and private. 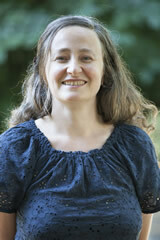 She is the Director of Studies and coordinator of the courses of the school. She always finds the right place for any student - if there is not, she thinks up a new one. She enjoys traveling, walking and loves cinema and theater. She loves good food ... but does not like to cook! has studied Political Science at the University of Pisa. She did various jobs until she found her optimal position in this school. Two are her greatest passions: teaching and cooking. She succeeds in both greatly. 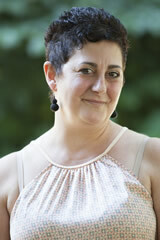 She is the leading Italian teacher and the chef in cooking classes. With her energy and enthusiasm, she can teach Italian to any student sitting in front of her, and in her cooking classes she manages to have delicious meals prepared by people who have never seen a tomato in their lives.... She is the creator and coordinator of the course "Speak and Cook". Has studied Foreign Languages and Literatures at the University of Pisa. He worked in different fields, from administration to teaching. Currently, at the school he takes care of the administration and of the student services. He can solve almost any practical problem students ask him to. Moreover, often he accompanies them in the afternoon excursions, as he knows a lot about the community and its territory. He likes to walk in the mountains, listening to and playing music, reading. 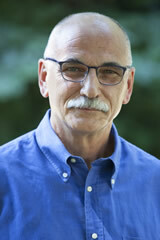 He is the creator and manager of the course "Speak and Walk". Has studied Modern Literature at the University of Pisa. Teaching is a mission for her: she can pass content to students of all ages, from children to adults, always with great enthusiasm and dedication. She is our "noblewoman", having an innate class, and at the same time a great simplicity. Moreover, being an AIS certified Sommelier and having recently obtained the certification of Olive Oil Master she is in charge of wine and olive oil tastings organized by the school. She knows Lucca inside and out, and always knows how to reveal some secret or some new curiosity about our city to her students. She has also created the new course Italian and Art. She studied Archaeology and Cultural Heritage at the University of Pisa. She is very careful and conscientious teacher, her lectures always having a precise structure and leaving little to chance. At the same time, she is creative and imaginative, with a keen sense of humor and an unmistakable and contagious laugh that his students appreciate a lot. She loves nature, hiking in the mountains, art exhibitions, music, opera (infact she accompanies students in all these activities) and has a great passion for drawing, being a talented illustrator. Therefore she is the project creator and organiser of the course Speak and Draw. Has studied Foreign Languages and Literatures at the University of Pisa. She is a teacher "by vocation", and you see it. She does this work with so much passion, always keeping up to date, and she is a real perfectionist. 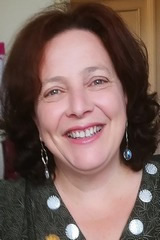 She has been teaching for many years, and has worked in many different contexts, from public to private schools, at the University, both in Italy and abroad, teaching Italian to students of all ages and nationalities. 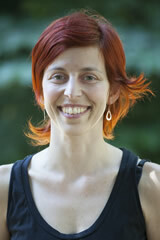 Her ability, expertise, enthusiasm, smile ... and red hair are her hallmarks. She loves nature, animals (especially cats), music and art. She accompanies students in cultural activities. Has studied Foreign Languages and Literatures at the University of Naples and speaks English and Japanese. She has lived many years in England and Japan, doing several jobs: flight assistant, promoter of language courses, translator - but in the end her passion for teaching has prevailed. 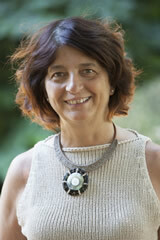 She has taught in public and private schools, in Italy and abroad. Lorenza is above all a very amiable person, but certainly also an enjoyable, enthusiastic and professional teacher. She loves simplicity and nature, and knows how to bring harmony in everything she does.